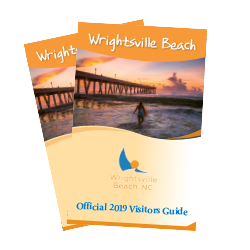 Check out recent coverage, blogs and press releases on Wrightsville Beach for the latest news and headlines. Wrightsville Beach is a haven for watersports and outdoor enthusiasts. Once you&apos;ve hit the water and are looking to take a break from the action—or if you simply want to enjoy some R and R—there are unlimited ways to relish in relaxation on the island. With four miles of shoreline to choose from, there are plenty of options when it comes to soaking up our fresh ocean air. Off the beach, fresh remains the name of our relaxation game, from a fresh cup of coffee to fresh-caught waterfront dining to refreshing signature cocktails. Taking a relaxing vacation is not only great for your health and well-being, it is believed to increase productivity at work. So, silence the phone, dig your toes in the sand and let the busy world slowly slip away. Start your morning off with a great cup of coffee. The Workshop serves high quality espresso beverages and has smoothies and small bites. Grab a fresh sandwich, almond croissant or pastry and nosh a snack on their outdoor patio. This coffee shop is also one of several locally owned boutique shops on the island. The Workshop is owned by scuba diving enthusiasts who recover fossil shark and Megalodon teeth from the Atlantic Ocean to create handmade jewelry, which is available for purchase. Imagine waking up and heading to the beach where your oasis awaits. Rent an umbrella, beach chairs or cabana from Cape Fear Beach Rentals and let them set everything up for you at your desired location. Whether you&apos;re looking for resort-style chairs with umbrellas or beach family packs, skip the struggle and call the professionals. Step right off the beach into a quiet spa retreat. You&apos;ll find your shoulders relaxing and your breathing beginning to slow with a visit to Alice Lawson Salon + Spa. After a day on the beach, you&apos;ll want to nourish and treat your skin with the Sunburn Facial. Refresh and recharge with a Swedish or deep tissue massage. Then, get ready for a night out with a blow out, mani-pedi or makeup application. Savor the freshest seafood available while soaking up one-of-a-kind panoramic water views. Dine oceanfront at East Oceanfront Dining, with vegetarian and seafood dishes inspired by the flavors of California, Mexico, Asia and the Mediterranean. Enjoy the only Wrightsville Beach dining experience on the ocean at Oceanic Restaurant (it&apos;s located on a pier) and don&apos;t miss the crab-stuffed shrimp appetizer. For one of the most fabulous views, sit on the terrace at Oceans and enjoy their American-style fare that features fresh, local seafood and a casual pizza menu. Take to the other side of the island and watch the boats along the picturesque Intracoastal Waterway. The dockside view from Bluewater Waterfront Grill can&apos;t be beat—and neither can the Bluewater Shrimp and Grits; The Bridge Tender serves up great scenery and an even better Lump Crab Cake; and the waterside vistas from The Fish House Grill is best enjoyed with a cup of their signature Fish House Fish Stew. Quench the heat of the day with a frozen drink or craft cocktail. Take a few steps off the beach and chill out at Shark Bar and Kitchen. Grab a table or sidle up to the bar and choose from one of their many classic island offerings or signature drinks, like the Hammer Head Margarita or Sharkberry Basil Mojito. Known for their blackboard seafood specials, 22 North restaurant is home to the Twisted Martini Lounge, which serves up concoctions like the Lumina Strawberry Lemonade and wines sourced from local vintner Noni Bacca Winery. Or cap off your evening at 1900 Lounge in nearby Lumina Station and enjoy a signature Black Tie Martini with elderflower liqueur or the fresh 1900 Cucumber Gimlet Martini. Sometimes you just need to take time in a beautiful place to clear your head. Let the excitement of the day and all your burdens melt away as you catch a picture-perfect sunrise over morning coffee, get pampered at the local spa or taste craft cocktails at happy hour. Just another day on the Island.